The AS/400 is a popular family of mid-sized computer systems which can also be used as multi-user computer systems. By this, we mean that a single computer can interact with more than one user at a time. It was first introduced by IBM on June 21st, 1988. In October of 2000, IBM rebranded the AS/400 and announced its name as the eServer iSeries. As part of IBM’s Systems branding initiative in 2006, it was again renamed to System i. The codename of the AS/400 project was “Silver Lake”, named for the lake in downtown Rochester, Minnesota, where the development of the system took place. 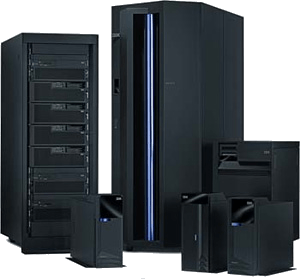 It includes an integrated DB2 database management system, a menu-driven interface, multi-user support, non-programmable terminals (IBM 5250) and printers, security, communications, client-server and web-based applications. Much of the software necessary to run the IBM System i is included and integrated into the base operating system.